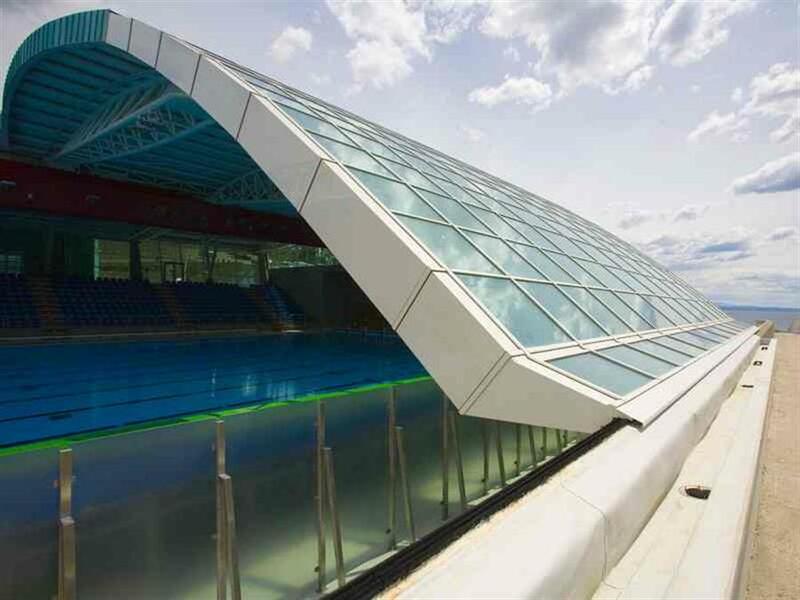 The Swimming Pools Kantrida, sports, leisure and entertainment complex was inaugurated in 2008 and completed in 2011. The construction works began with reconstruction and enlargement of the open Olympic Pool situated in the immediate vicinity of the sea. The end result was five swimming pools of different dimensions. Apart from the swimming pools, the complex includes additional contents, which is why it is not only used for high-quality preparations and competitions by professional athletes but also for leisure and entertainment. It was awarded several international awards. On the wet side, the facility boasts the Olympic Swimming Pool 1 (indoor swimming pool) with a unique retractable roof structure, the reconstructed Olympic Swimming Pool 2 (outdoor swimming pool), a 25m swimming pool, a children’s swimming pool and a diving pool. The swimming pools are used by athletes of various age groups for professional trainings and by general public for leisure. They are well equipped to meet the highest standards in water sports. Beside the complex is a beach, which was officially opened to the public in the middle of June 2011. 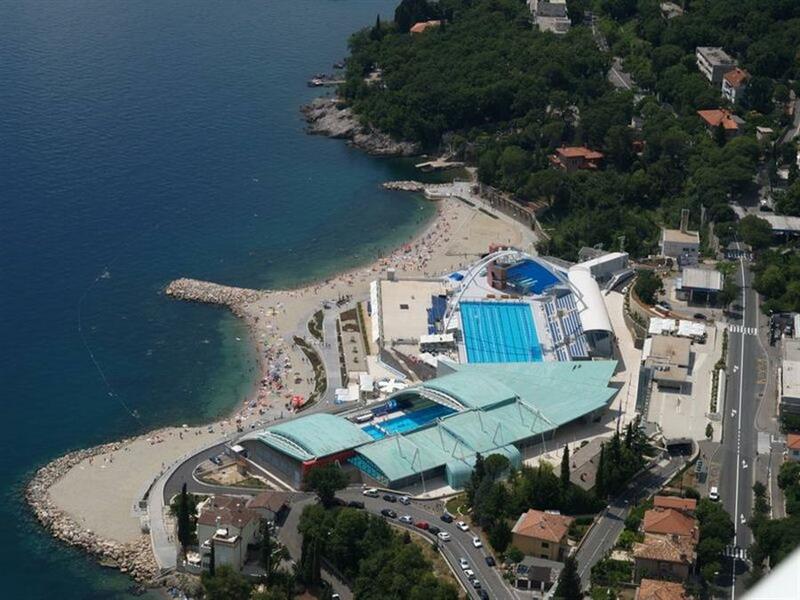 On the dry side, there are fitness suites, wellness, scuba diving center, cafés, and parking facilities, all offering a breathtaking view of the Kvarner Bay and the islands. 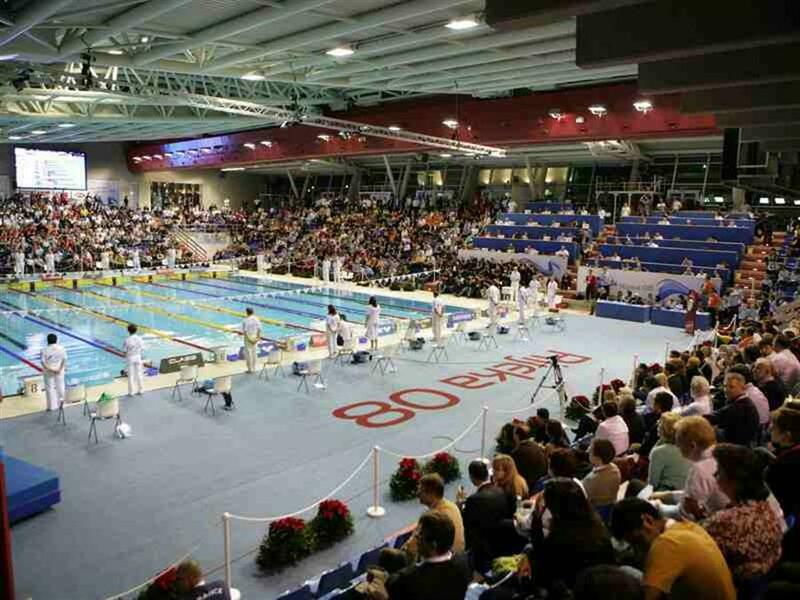 In 2009 the Swimming Pools Kantrida took part in an architecture contest and won a bronze medal awarded to water sports facilities by the International Association for Sports and Leisure Facilities (IAKS) and the International Olympic Committee (IOC). They received a special recognition (IPC Distinction) by the International Paralympics Committee among facilities suitable for the disabled. As part of the initiative Blue Flower, in 2011 the Ploče Beach received a special recognition in the category of the best equipped public beaches. 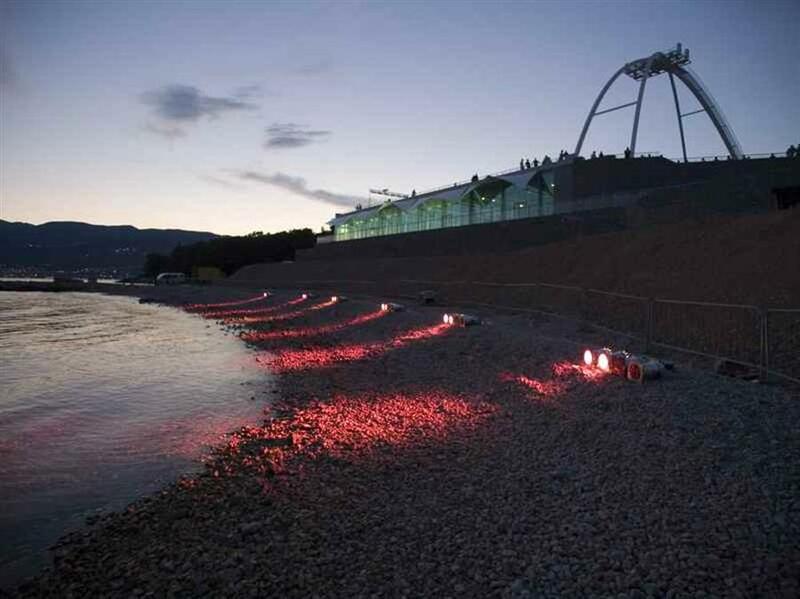 Rijeka's beach Ploče was awarded in Dubrovnik as the best beach in the project "Tourist Flower - Quality for Croatia 2012".